(RxWiki News) Cancer patients have enough to worry about — they shouldn't have to worry about the health effects of medications taken before cancer surgery. And new evidence suggests they may not have to. Blood-thinning drugs given to cancer patients before cancer surgery were not tied to an increased risk of transfusions or major bleeding, a new study found. Cancer patients are prone to venous thromboembolism (VTE), which occurs when blood in a vein clots, according to the authors of this study. This condition can be fatal. Doctors often prescribe blood-thinning drugs like heparin to help prevent VTE. 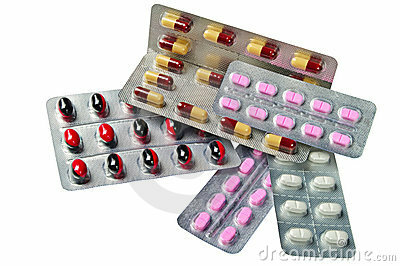 But these drugs can lead to an increased risk of bleeding, which can also be fatal. So giving blood-thinning drugs to cancer patients before surgery to remove their cancer could pose a serious health risk. Study author Vivian Strong, MD, FACS, and colleagues approached this issue by looking at the reason for the high rate of VTE in cancer patients. “We weren’t sure if our VTE rate was due to the complexity of our operations, the fact that our patients had cancer, or that we weren’t administering heparin, which could decrease the blood clots,” Dr. Strong, an associate attending surgeon at Memorial Sloan Kettering Cancer Center in New York City, said in a press release. These researchers then compared 2,058 cancer patients who received blood-thinning drugs (anticoagulants) before major surgery to 4,960 who had major surgeries but didn't receive presurgery blood-thinning drugs. Their findings appeared to contradict what some believe about the effects of anticoagulants: There was no measurable difference in major bleeding events between the two groups of patients. And those who received the blood-thinning drugs before surgery were actually less likely to require a blood transfusion. Dr. Strong said she believed this research has "broad-reaching, practice-changing implications." This study was published in the Journal of the American College of Surgeons. A National Institutes of Health Core Grant funded this research. Conflict of interest disclosures were not available at the time of publication.